Irish Food? I had low expectations. When you think if haute cuisine Dublin isn’t the first place that pops to mind, is it? While we didn’t have any meals that were truly world class (our fault, as we failed to make reservations before we left Chicago and all of the highly rated restaurants were booked well into January), we did have several pretty great meals. Since I landed a couple hours early into Dublin, I had some time to kill while waiting for MS. What better way to kill time than to have a traditional Irish breakfast at an airport buffet. 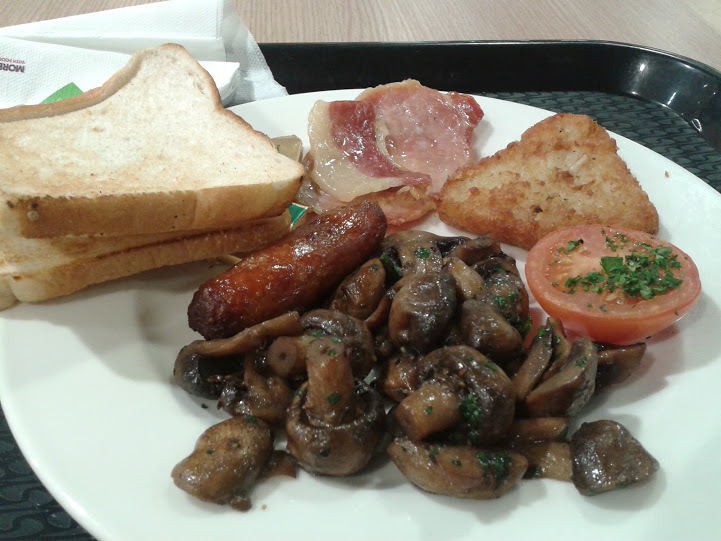 For €8.99 I could pick 5 items from the buffet and I selected, hash browns, mushrooms, Irish bacon, sausage and a grilled tomato – they threw in some toast as well. It was all pretty good, for airport food, except the sausage, it was a little too finely minced for me – not much texture. Our first night in Ireland, we stayed at Kinnitty Castle and had a fantastic dinner. 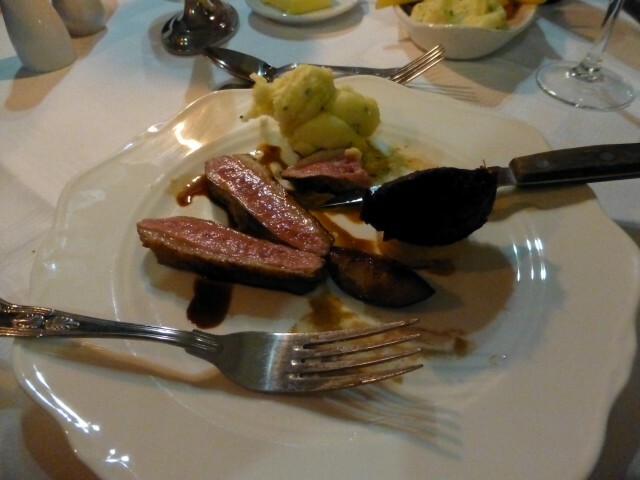 I chose the roast duck breast with black pudding and mashed potatoes. You can see from the picture below, the meal wasn’t enormous, but it was amazing. I had three slices of perfectly prepared duck breast – I could have eaten much more, but am glad they exercised portion control for me. I did not eat the black pudding. 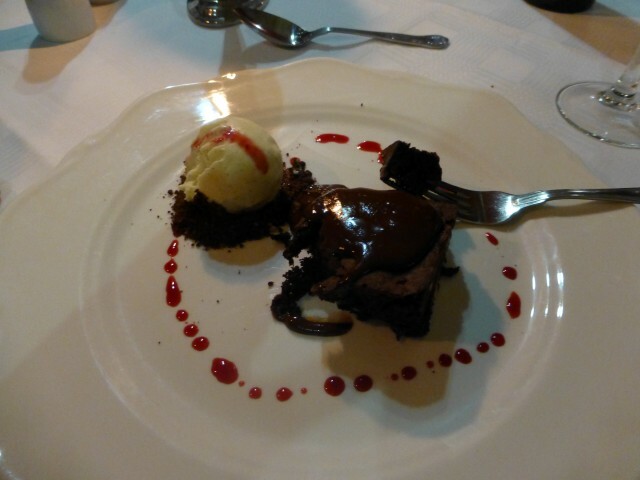 For dessert the first night I had a chocolate brownie with vanilla ice cream. It was rich and pretty tasty. Evidently at Kinnitty they make their desserts fresh every day too. 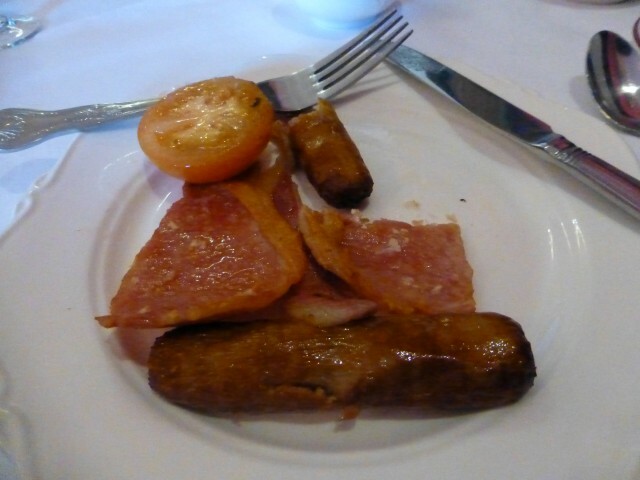 Our only breakfast at Kinnitty was a traditional Irish breakfast and as the day before, I had Irish bacon, a grilled tomato and the same type of finely ground sausage link that I had on the first day. I love grilled tomatoes and Irish bacon. 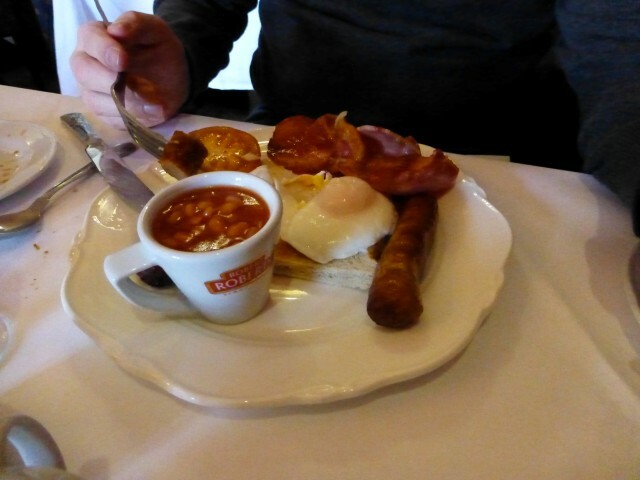 MS added the (overly) poached egg and the beans to his breakfast. The egg was way over done for his liking. I opted to steer clear of the eggs and beans as I knew I wouldn’t eat them – why waste it, right? 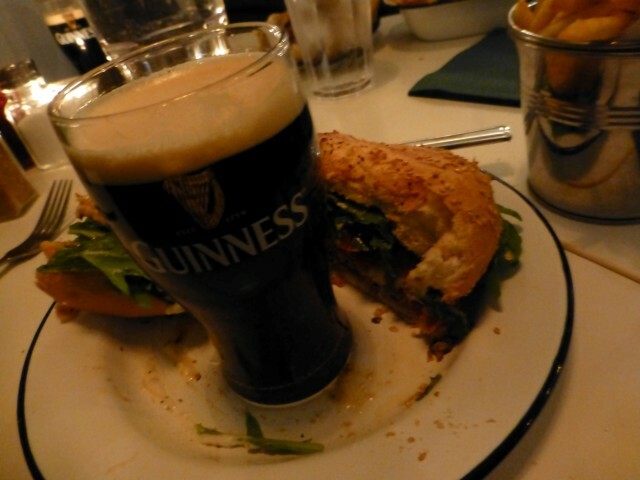 The first night, after the Guinness tour we opted to have a dinner at a place called Bobo’s Gourmet Irish Burgers. We ordered a Guinness but the waitress said if we ordered a burger a Guinness was included — she failed to mention that it wasn’t a pint but a tiny little glass of Guinness. The best part is that all burgers are cooked well done in Ireland. Love it. After our amazing Bike Tour, Brian and Cian suggested a couple of restaurants. We picked the place that came with the highest recommendations and coincidentally was closest to the bike locker. 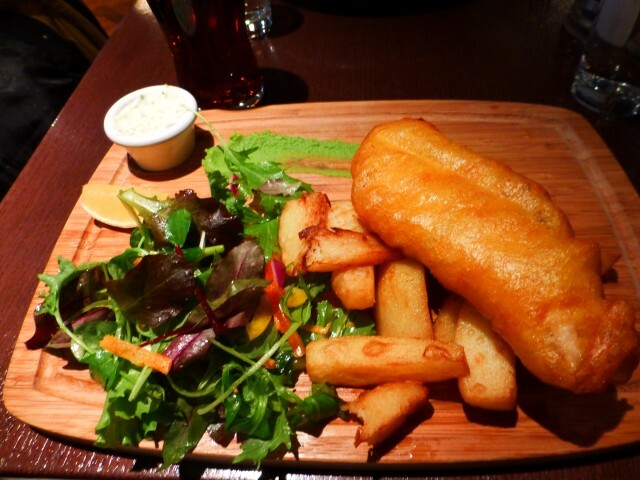 I had a very flavorful and perfectly prepared order of Irish Fish and Chips with one of the best homemade tartar sauces I’ve ever had. For lunch MS had a chicken and potato dish which he at every bite of. The restaurant was called Le Bon Crubeen and even though it was a French restaurant we had some of the best Irish food on the trip. 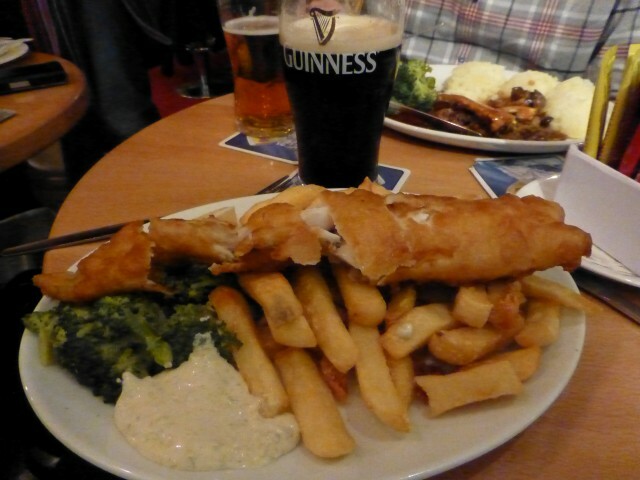 For our final meal in Ireland we stopped off at a little pub called Davy Byrnes. We had no intention of eating here, but shortly after we sat down a guy sat next to us and he said he and his wife come to dinner her every Saturday night. After we ordered, our new friend said that he finds the food at this pub to be very acceptable. Suddenly his winning recommendation just sinks and we were quite nervous for dinner. I ordered the fish and chips again and they were just like our new friend said: “Acceptable”. We had a really nice time chatting with this Irish man and his wife – he was a Physics professor with a fascination with America (he was quite pleased we voted for Obama). 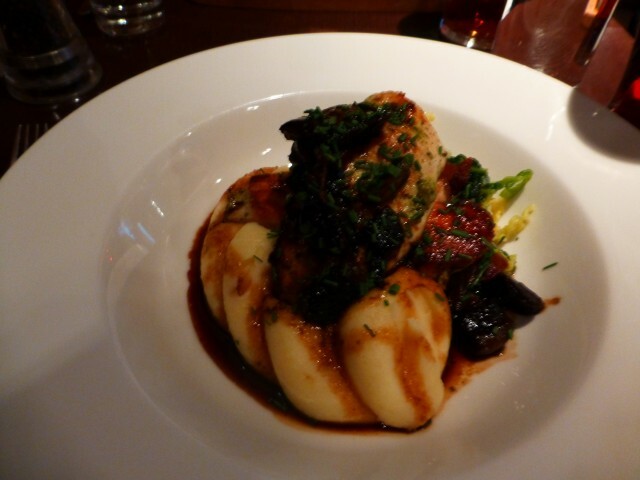 The food of Ireland wasn’t anything to travel for, but once there you can easily find food that will satisfy you. 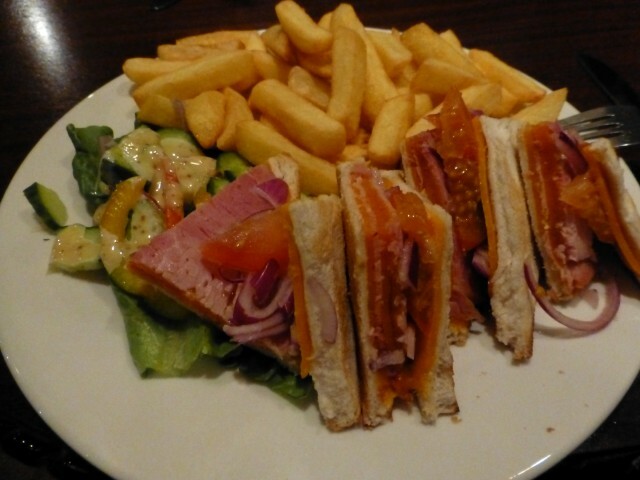 One think to note, Ireland is full of GREAT hang over food — might as well give it a try. By Tim in Travel on December 24, 2012 .